Once again, Juventus are looking to the Champions League for success after a discouraging Serie A result. This time, Juventus largely faltered in a 2-1 loss away versus Napoli. The usual reactions and overreactions occurred from fans, press, ex-players, and the like after that result, but Allegri and the players went right back to work to prepare for the fixture versus Sevilla. Stephan Lichtsteiner was expected to return from injury but Juventus have confirmed that he’ll be missing out the game against Sevilla due to ongoing tests for breathing problems. 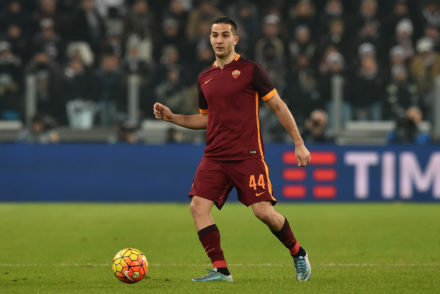 Martin Caceres has been dropped from the squad after crasshing his Ferrari and testing over the drink-drive limit. 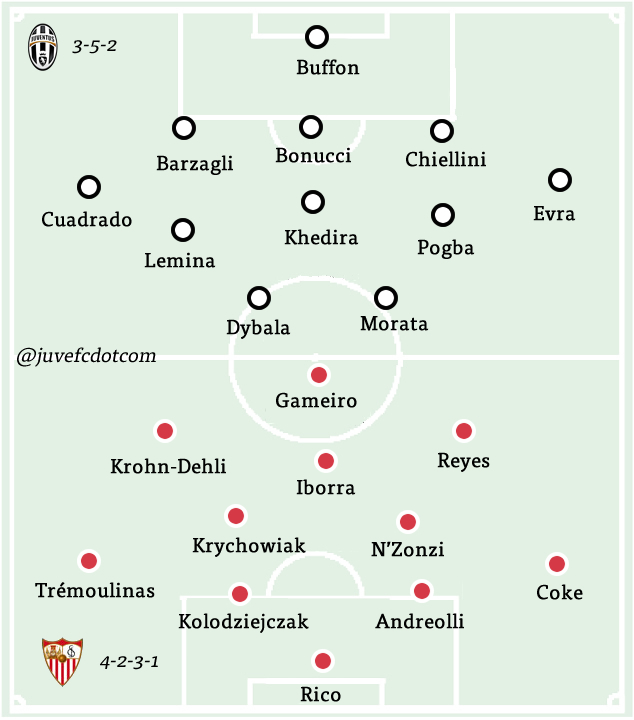 With Simone Padoin not in the Champions League squad, the return to a 3-5-2 looks likely with Gigi Buffon, Leonardo Bonucci, Giorgio Chiellini, and Andrea Barzagli starting in defence. Patrice Evra will start at left wing-back with Juan Cuadrado playing on the right. In the midfield, Max Allegri has confirmed that Sami Khedira will start with Paul Pogba and one of either Roberto Pereyra or Mario Lemina alongside in a 3-man midfield. Lemina has been a bright spot for Juve this season, while Pogba has left a lot to be desired with his recent performances. The attacking duo sounds more exciting than the midfield on paper: Alvaro Morata and Paulo Dybala are confirmed to start up front which sounds like the right choice. Morata scored the winning goal versus Man City, so he’ll be expected to come up big again. 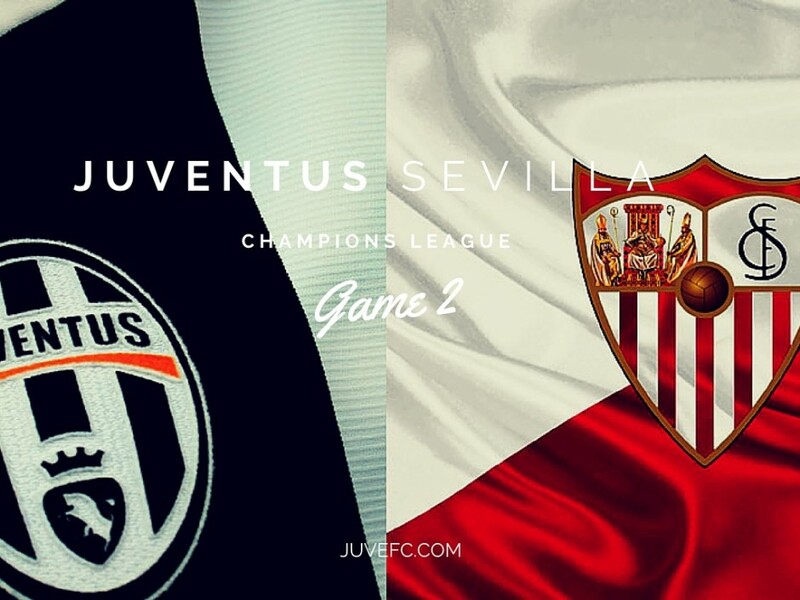 Sevilla, like Juventus, have had more success in their one Champions League outing than they really have had in the domestic league. Sevilla won their game this weekend versus Rayo Vallecano, 3-2, but that was actually their first La Liga win of the season. Prior that win, they had lost two straight to Celta Vigo and Las Palmas. They did, however, defeat Borussia Monchengladbach 3-0 in the first group stage matchday. Granted two goals were from penalties, this was still a big victory. They’re also coming back to Turin for the first time since the 2014 Europa League final – this was the one that Juventus could have been in, had we not lost to Benfica – where they beat Benfica on penalty kicks. 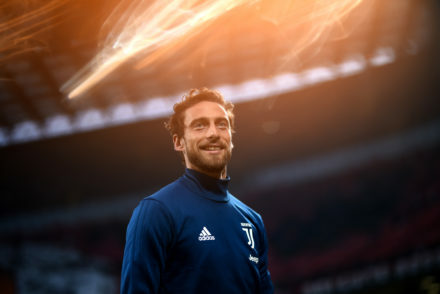 * Update – Llorente hasn’t made included in the squad to face Juventus due to an injury, Rami is also a doubt.